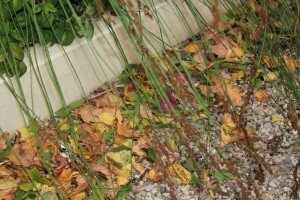 The wind has been whipping through my garden stirring up lots of mess and exposing areas in need of attention. I’m itching to get outside and get my bulbs planted but it’s really not much fun when its cold and blowing a storm. Today when I went outside to start planting, my sweet gardening buddies (dogs and cat) sat at the window and watched me from inside – so I realised my time might be better spent investigating what’s available at the nurseries. 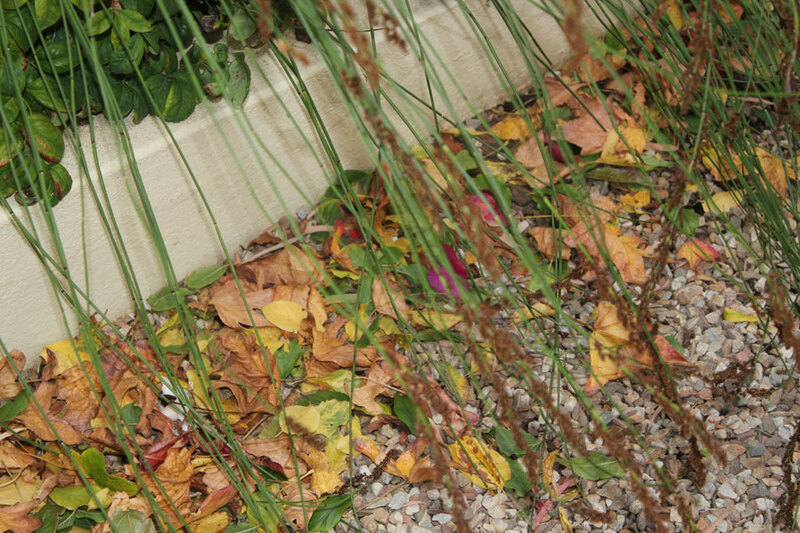 The last few weeks have taught me that I do not have enough “Autumn Interest” going on in my garden and I’m trying to change this. 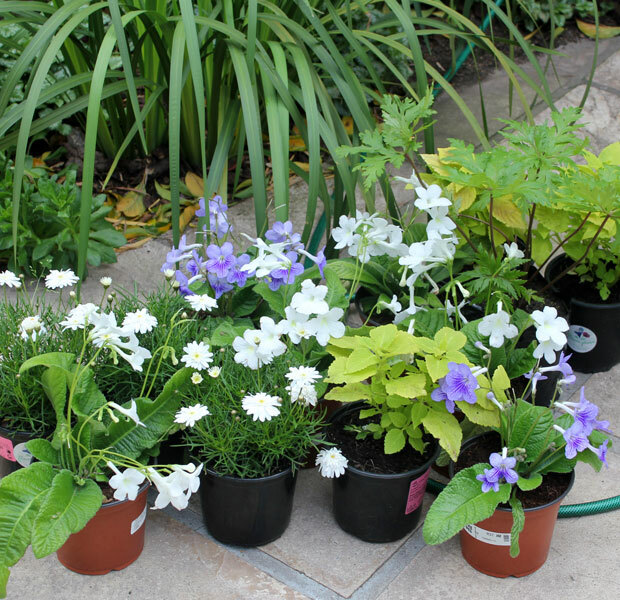 I went to the nursery and came back with a few plants for shade to add to my back garden. I bought Coleous, a few white and blue Cape Primroses, a Geranium Palmatum and a few Argyranthemums for the new sunny bed at the back. The Coleus is marked as “Flower Power Lime”. It’s a lovely limey/Chartreuse and I think it will look great as a contrast plant in the back garden. I’m not a huge fan of Geraniums but this one caught my eye because it has interesting foliage which I like. I have no experience with growing Geraniums but thought I’d give this one a try. 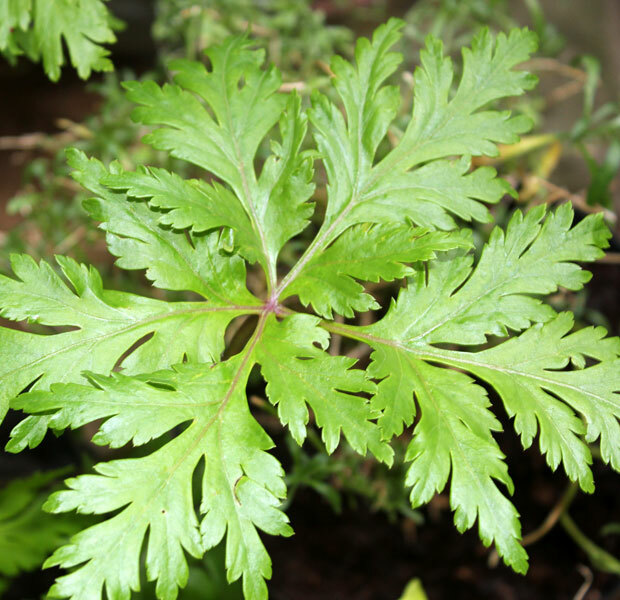 It is marked as Geranium Palmatum (Geranium Anemonifolium) and requires morning sun. I have a spot in the back I think will suit it. I will leave it in its pot for a few weeks to see how it copes there and if it seems happy I’ll plant it. I Googled it and it looks like I made a really great purchase. The flowers are lovely. 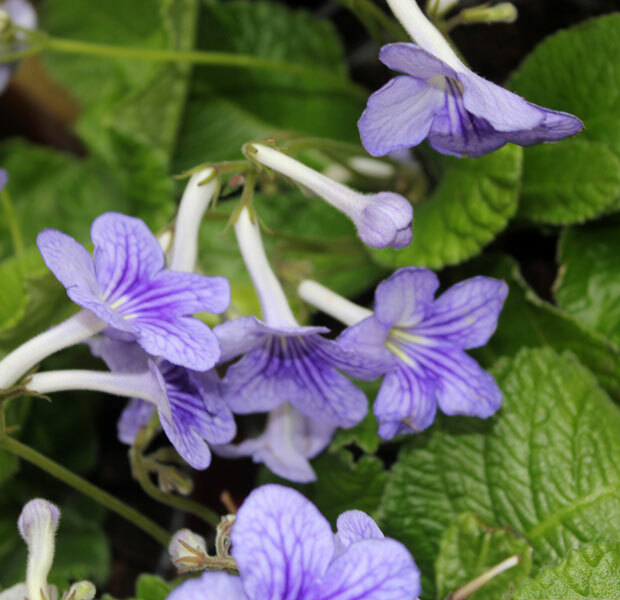 Then the Cape Primroses … Labelled as Streptocarpus Hybrids (Cape Primrose). 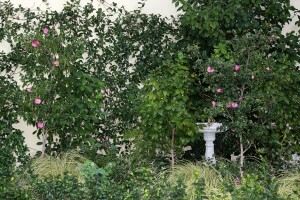 Indoors in bright light or outdoors in semi-shade – I’m planting them out back with the other “house plants” that are happy under the big Pepper Tree. 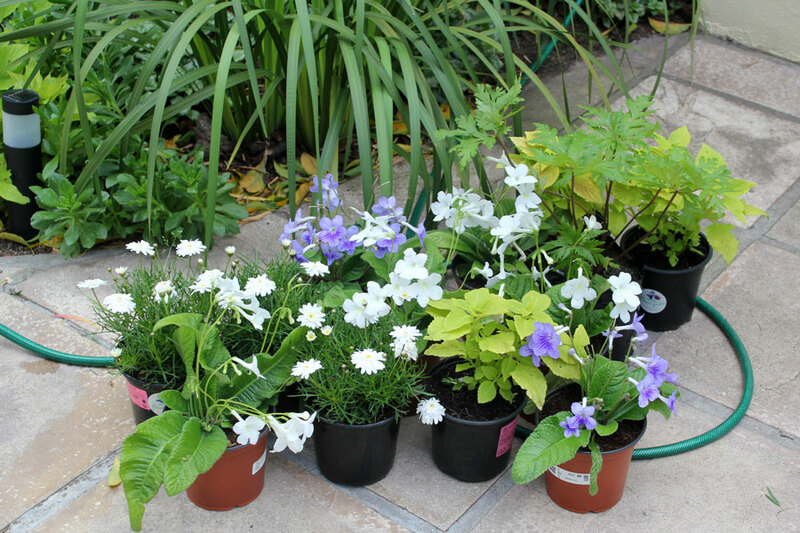 The Cape primroses I bought are blue and white. I think they are very pretty. Streptocarpus and Coleus always look good together. The Victorians used plenty of both. No excuses today with so many variations of Coleus around. And you can’t beat the hardy geraniums to fill a space in a shady garden. I love your choice of flowers. 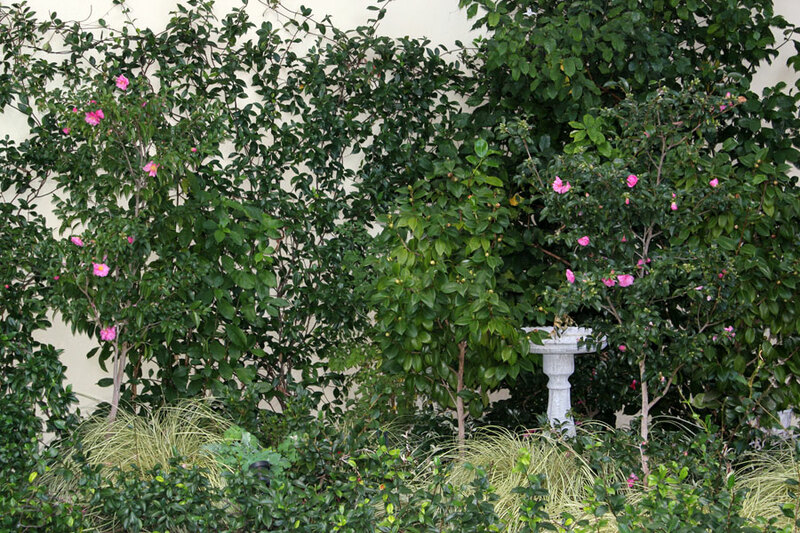 That lime coleus is one of my favorites as well — it looks really nice with dark burgundy coral bells. I don’t grow a lot of annuals but you can’t beat coleus for colorful, interesting foliage! As for the windswept look, we are dealing with that as well in our area. It has been gusting to 35 mph for over a week! 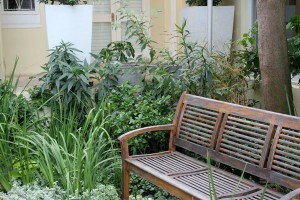 I’m looking forward to seeing your garden evolve this spring. Nursery visit was a much better option I love your choice of plants – the lime green foliage is always a winner in your garden. 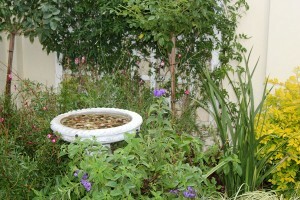 Oh yes – I loved and tried the primrose, but it was too hot here. Weird how you also found the geranium interesting – the first plant that cught my eye in your pic – but definitely not on my favourite plant list. Would love to see how this works in your garden. 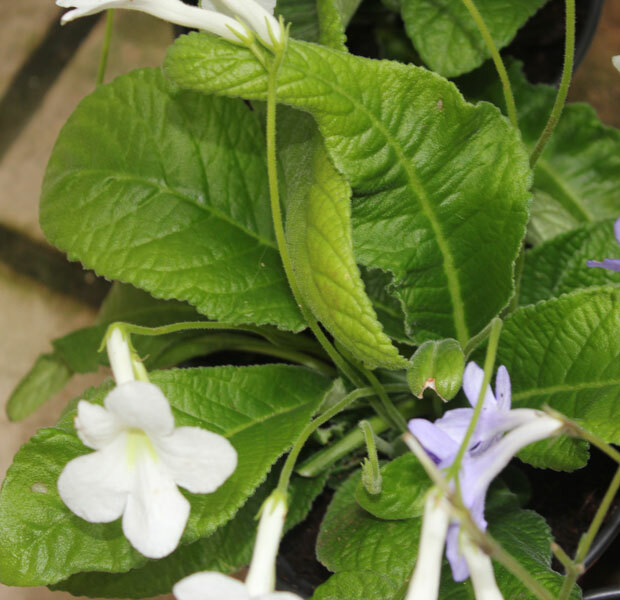 My Streptocarpus lives in a pot on the verandah. With the saucer always topped up . 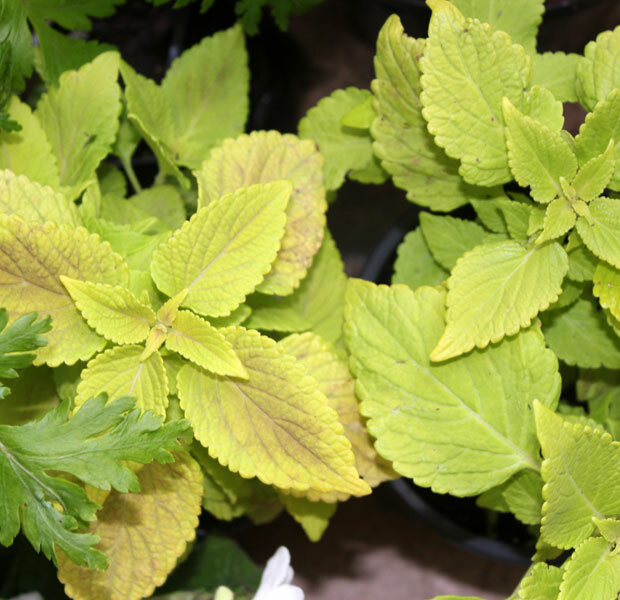 There are so many nice Coleus varieties — that looks like a nice one! Isn’t the cool weather a nice change though? You pick some very pretty plants for the sunny bed. I have used that Coleus too. I love that bright green color.